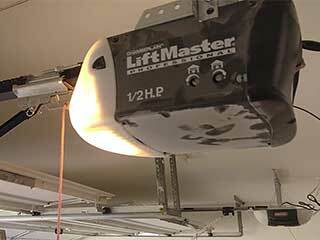 The opener can be referred to as the powerhouse of the automated garage door. It consists of the drive mechanism through which the door opens and closes. It is essential for the proper functioning of your automated system. Opener related issues are common, so if your door has stopped responding, this could indicate a burnt out motor or an electrical fault. In the event that you need a new one installed, an existing unit repaired or assessed for safety, our team has your back. Openers are equipped with two safety mechanisms, the reverse function and the photo eye sensors. Together, these cause the door to reverse if it comes into contact with an obstacle. If either of these safety mechanisms is not working as it should, there may be a significant risk of injury and damage as the door won't be to sense anything beneath it. We recommend scheduling regular tests to assess for faults in the system as you want to prevent any of these hazards from occurring. Our professionals are well-trained to undertake such testing, just give us a call to schedule an appointment. Maintaining your opener is necessary to keep it functioning in good shape. However, it can be dangerous for you to try and undertake these tasks yourself - you may inadvertently make the problem worse if you don't know exactly what you're doing. If you think your opener needs to be inspected, contact our experts to check for electrical faults, loose wires or a motor related problem. Count on our skilled experts to carry out the maintenance tests and assessments in the safest manner possible. After several years of operation, the opener may eventually break down. It may simply not respond to the remote control or keypad anymore, the power motor may continue to run even after opening the door, or your door may cease to open or close completely. These are signs that the opener is damaged and needs attention. Our team can repair or replace it for you and have your door working again in no time. Contact our experts at Garage Door Repair Rancho Cordova, CA for nothing but the best service and assistance!